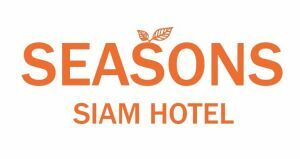 Here at Seassons Siam Hotel we aim to make your holiday as relaxing and as comfortable as possible. Combining charm with quality, we offer 177 stylish rooms which are contemporary yet comfortable. An oasis of calm within the bustle of Bangkok, our hotel welcomes you with warmth and professionalism, as well as offering all modern facilities for your ease.